Flea The characteristics of flea are wingless, flat side of the body, the body hard and shiny surface, setaceous, blood-sucking mouthparts. Flea has the unique physical structure to facilitate the body from the host body to another host. The main host is a mammal (including humans) and poultry. 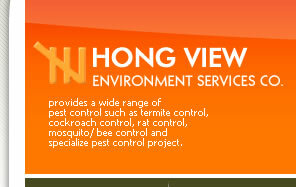 Many ticks are transmitter of disease. The larva are scavengers, they eat dried host blood, excrement, and some adult debris. Flea is a parasite, the majority of blood-sucking lice caused due to host more than the itching and bleeding. Parasitic lice in humans can also spread the awareness of all disease epidemic typhus. 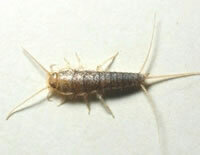 The characteristics of silverfish are wingless, flat body, sometimes covered with a layer of gray or brown scales. Mouthparts of their simple structure, they have compound eyes, some types of no eyes, and three wires on the end of the abdomen. Silverfish would always peeling, even after maturation in the same, but the size is not obvious change. They eat human dander, book binding glue, flour and wet clothing. Living in warm places: at the bottom of the refrigerator, floor cracks, under rocks, trees and caves are able to see them.